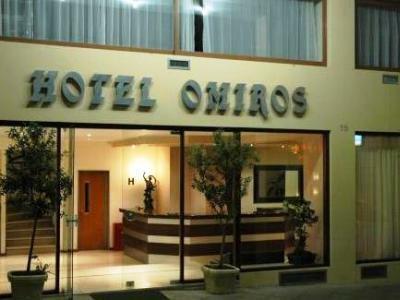 This attractive hotel enjoys a superb location in Athens near Syntagma Square and the celebrated Plaka neighbourhood. The Acropolis and Parthenon, parliament, National Garden, Temple of Olympian Zeus, and a wealth of museums are all easily within walking distance, and numerous shops, restaurants, taverns and public transport links can be found in the immediate vicinity of the hotel. The guest rooms are both functional and stylish with hardwood floors, handy mini-fridge, and room service. Guests can start a busy day of sightseeing with a rich breakfast buffet, and take advantage of the excellent services offered by the hotel, including free Wi-Fi and a convenient public computer in the lobby, a travel desk, and a delightful playroom for children as well as babysitting services. With its central location, comfortable rooms and outstanding service, this hotel is the perfect Athens base for a sightseeing holiday. Situated at the exceptional and renowned region of Plaka, just few minutes walk from Syntagma and Monastiraki square. The Acropolis, Ancient Agora, Roman Forum, Parliament, museums, shopping area of Plaka, Ermou street and the Athens Cathedral are all on your door step from the hotel. Syntagma Metro station is 2 min walk, with direct access to the aiport. The terrace is the perfect place to while away the time. Massage treatments are among the leisure options available to guests (for a fee). All accommodation units feature air conditioning, central heating and a bathroom. A balcony is available at the “superior” rooms with a small additional. Cots are available for children. A safe and a mini fridge also feature. Each accommodation unit offers internet access, a telephone, a TV, a radio and wireless internet access. Each of the bathrooms features a shower or bathtub with amenities and a hairdryer. Muy amables. Buenas instalaciones, un salón donde podrás tomar café y galletas hasta las 20:00 h. Información sobre horarios y visitas. Desayuno muy correcto... Céntrico a menos 5 min. Plaza sintagma, pero en una calle muy tranquila. La verdad si volviese repetiría hotel. Todo fue excelente, sobre todo el trato del personal. El trato personal ha sido lo mejor. Muy bien atendido. Lo peor el frigorífico de la habitación. Buen hotel, personal habla español y muy simpático, bien situado y confortable.